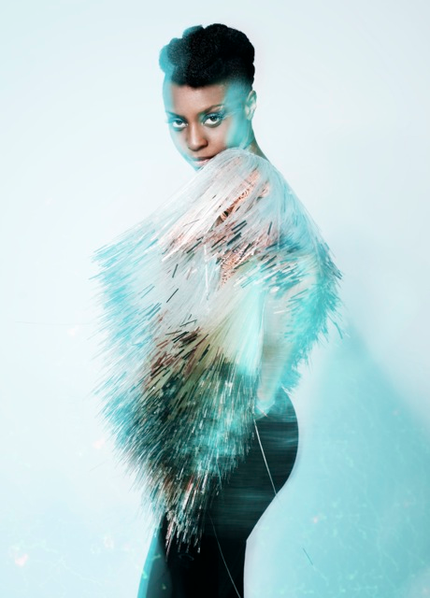 Morcheeba front-woman Skye returns this autumn with her third solo record, ‘Back To Now’, released through PIAS on October 29th. Production credits for the album, which is accompanied by lead single ‘Featherlight’, come from the Grammy Award winner Stephen Fitzmaurice (Paloma Faith, Metronomy and Professor Green).‘Back To Now’ sees Skye on assured form in the follow up to 2009’s ‘Keeping Secrets’. Fitzmaurice’s crisp production values couple with Skye’s ethereal voice to impressive effect, across a distinctly nocturnal soundscape. Synths bubble across early album highlights ‘Sign Of Life’ and lead single, ‘Featherlight’, both anchored by Skye’s effortless vocals, whilst ‘Every Little Lie’s’ chorus mines a compulsive vocal hook to memorable effect. It’s no means an exclusively synth propelled album, with strings employed to distinctive effect on ‘Bright Light’ and the possessive plea of ‘Nowhere’. Yet in all cases, it is the character and range of Skye’s vocals which underpins the album. Layered on ‘High Life’, providing a tender counterpoint to the disquieting synths of ‘Dissolve’, and gliding across the percussive loops of ‘Little Bit Lost’.